£7.50 + VAT per 1 U.S. quart (946ml). Currently the best oil I have found for running in new engine builds. Gives superb protection to cam, followers, etc. The chemical formulation aids excellent piston ring seal. Mineral based 15W50, it also provides excellent protection for the gearbox on Mini applications. Used in on the road running-in procedure it should be changed after a maximum 400 miles. Typically, using my suggested running-in method, the engine should be run in after 200 miles. 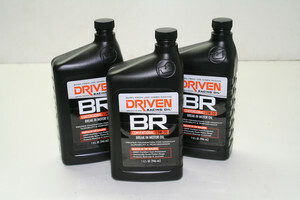 5 bottles per Mini engine, 4 bottles per in-line application without oil cooler, 5 bottles with.